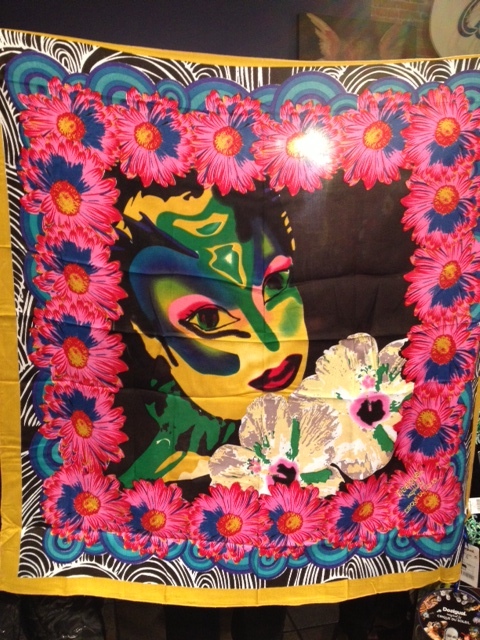 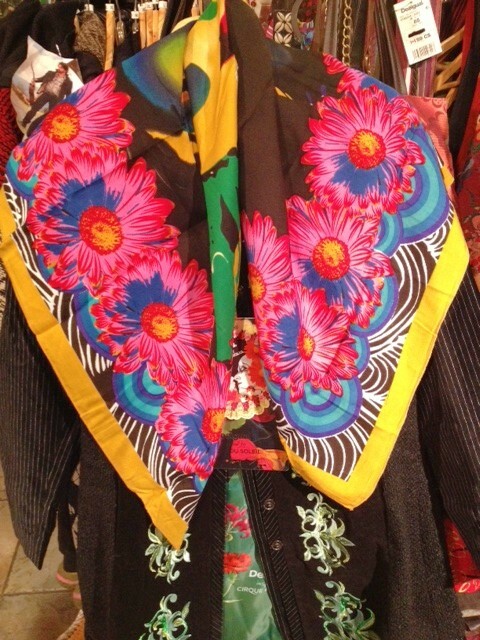 We have dozens of scarves from Italy, India, Tibet and Ecuador to keep away the winter chill, plus we have some new Desigual scarves that arrived this week (we’ll post photos soon). 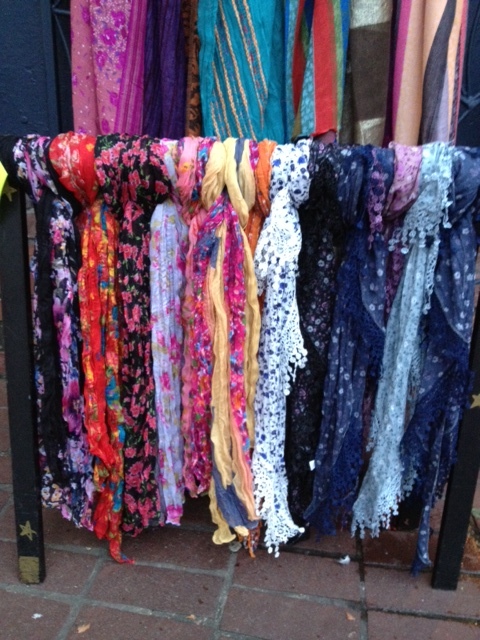 And if you’ve ever seen someone on the street with a differently cool way of wearing their scarf, here is a video that shows you 25 ways to tie a scarf to give you new ideas. 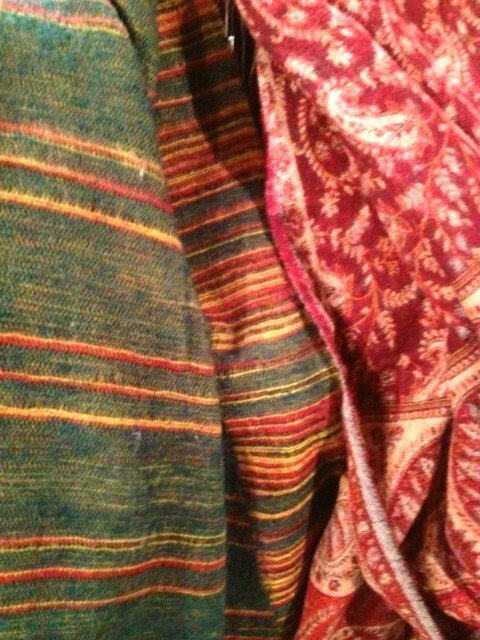 Some days, it’s fun just trying something different. 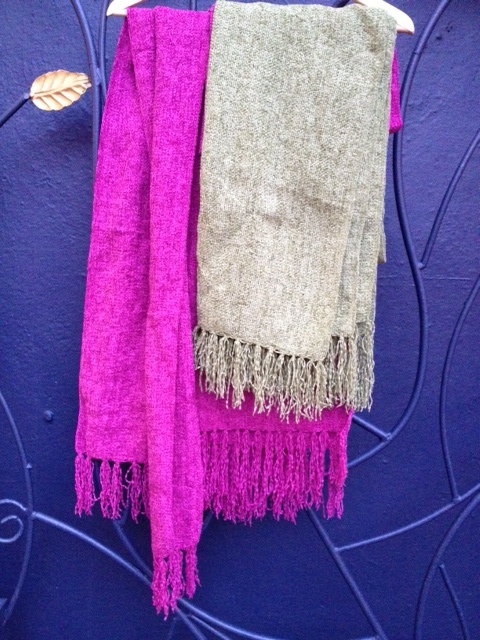 We also have some Tibetan yak wool shawls that are very light but very warm. 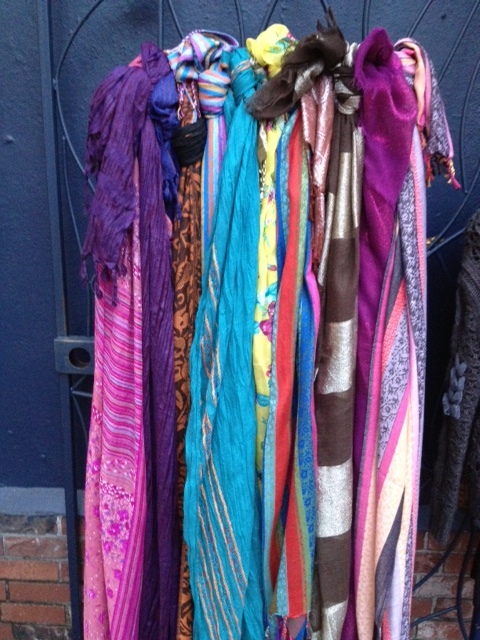 Some of the scarves below I bought at the Porta Tortese market in the Trastevere district of Rome. 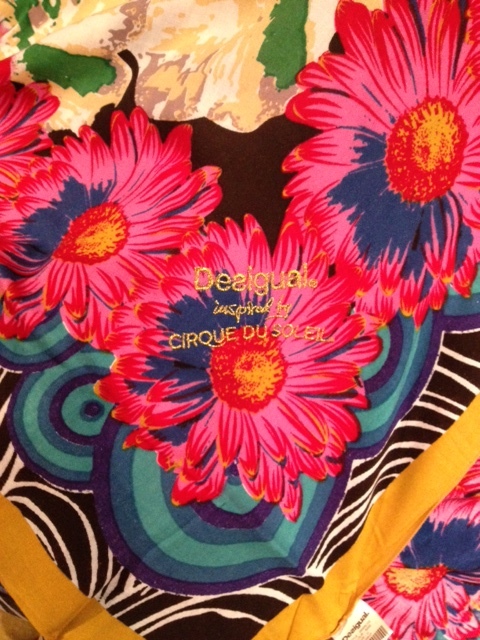 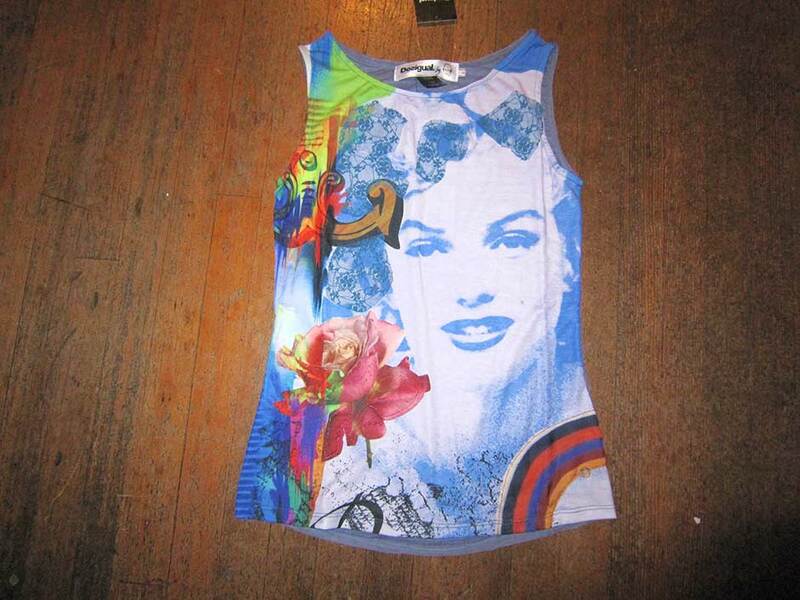 This entry was posted in Desigual and tagged Angel Handpainted clothing, Angel Handpainted Fashions, Angel of Vancouver B.C., Desigual, Desigual and Cirque du Soleil collection, Desigual Canada, Desigual Canada. 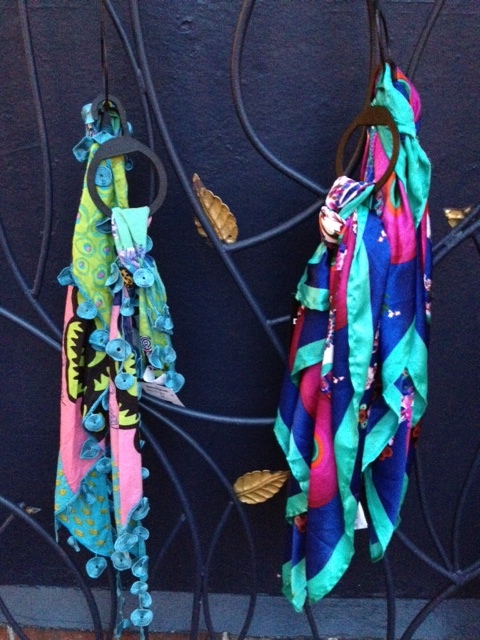 Desigual Vancouver B.C., Desigual in Canada, Desigual scarves, Gastown, Italy, Necklace scarves from Rome, Scarves from the Porta Tortese market in the Trastvere district of Rome, winter scarves Vancouver B.C.. Bookmark the permalink.